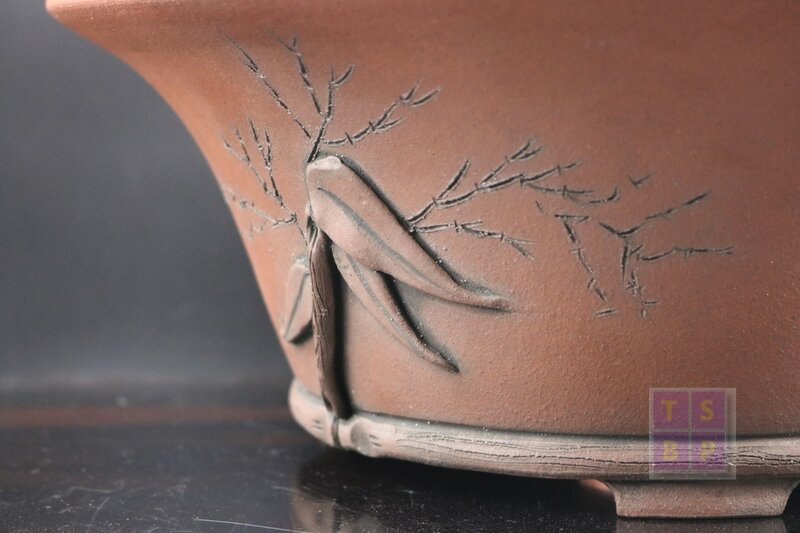 Andrew Pearson of Stone Monkey Ceramics is currently one of Europe's most highly regarded bonsai potters. 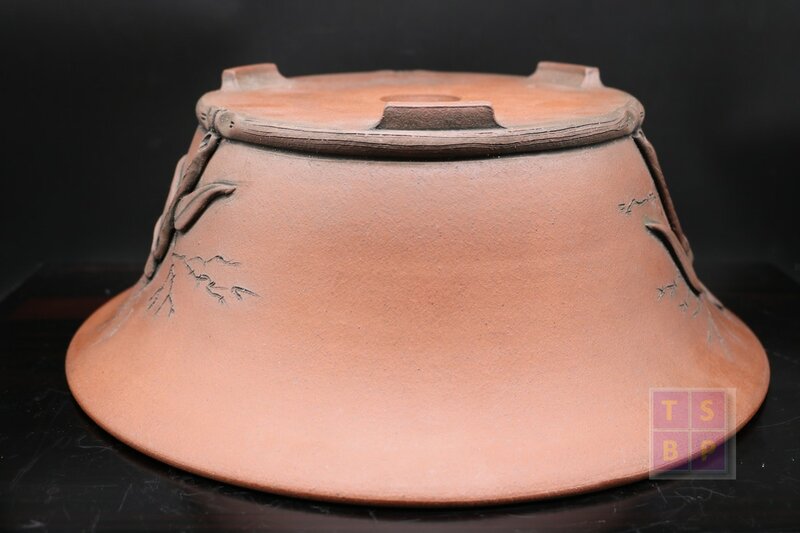 He is to date, the only Western bonsai potter to have been invited to, and entered one of Japan's major exhibitions. 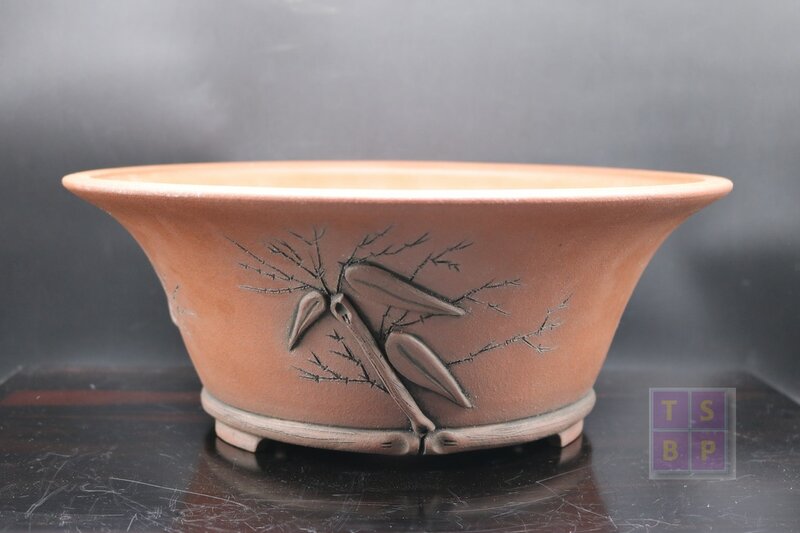 In January 2014, he placed 2 entries; a glazed trio of pots, and an unglazed trio into the '10th Annual Modern Shohin Container Artist Exhibition', at the Gafu-Ten. Not only was he the first 'Gaijin' to enter, his unglazed entry (as seen below) took the gold prize! Stone Monkey Ceramics; Carved / Sculpted pots. 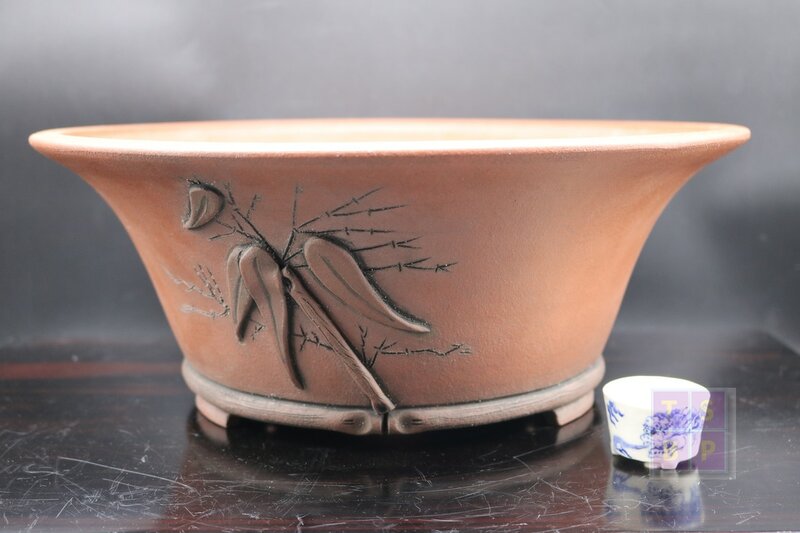 A wonderful large semi cascade pot with bamboo basal band, and sculpted bamboo shoot detail.